On 15 June 2015 the Ceremonial Seating of the International Tribunal for Natural Justice took place at Westminster Central Hall, London, England. This historic occasion was announced and celebrated on the evening of 14 June 2015 at Notting Hill, London. Goodwill messages from international supporters and ITNJ Officers were delivered via pre-recorded video, including: Dr. Paul Craig Roberts, Hon. 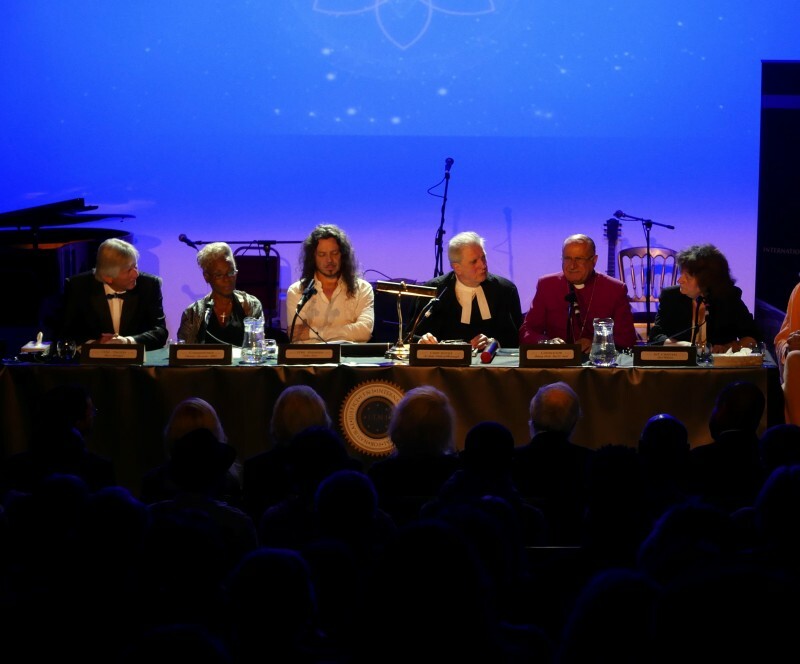 Paul T. Hellyer, Noam Chomsky, Dr. Laurence Brahm, Dr. Steven Greer, Michael Tellinger, and ITNJ Law Commissioner Captain Ray Lewis. Video messages were also delivered from representatives of an array of international chapters of the Committee to Support the ITNJ, including South Africa, East Africa, India, Scandinavia, and Russia, and representatives of some chapters attended the event. International observers were also in attendance, including ambassadors, parliamentarians and religious leaders. In all, over 300 people witnessed the events on the eve of the Ceremonial Seating of the ITNJ and ratified the ITNJ Treaty. 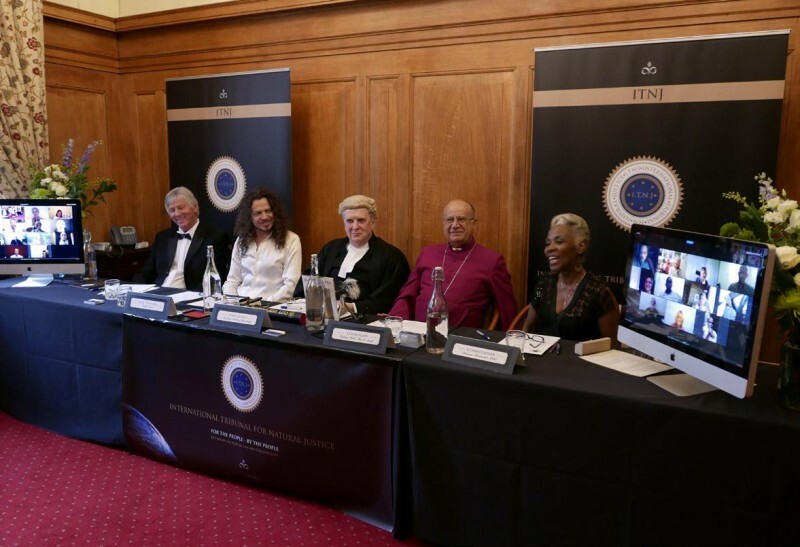 The Ceremonial Seating of the ITNJ and the formal ratification, signing and sealing of the Treaty and Constitution of the International Tribunal for Natural Justice took place on 15 June at Westminster Central Hall in London, 800 years to the day after the Magna Carta was sealed into law. Thirty people were present in situ for that event, members of the International ITNJ team were present via video-conference, and over one thousand observers witnessed the event via live-stream broadcast. A new jurisdiction in law has now been created for the People, by the People whose signatures ratifying the ITNJ Treaty mandated the creation of the International Tribunal for Natural Justice. I am in an incredible Joy to see that finally something I have always wished in my Heart for has taken place! Congratulation to Sacha and everyone in the ITJN who are Seatting or Standing in the name of Law of Nature! This is an amazing work achieved and the greatest news of all time, at last People are Human again! To be part of such wonderful historical mark is a privilege and an honour, thank you from the Heart! I speak in the name of all People of every nationality, faith, belief, race and background because I know everyone in their Hearts feels this, that at last there is Justice in the Law of this World! I have dropped out of Law school because I didn’t feel in my Heart that there was Justice in the Law nor did I feel that all Judges, Courts and Lawyers have dealt with People’s cases in just and in righteousness, which is why this ITJN was desperately needed. Well Done Sacha! and everyone who took part in this to make it happen! I am proud tobe a British Citizen and to live in London and I am proud to be part of ITJN in every way I can and by every means that I have. I will support in any way with my clean Heart and pure intention, with my Spiritual Beingness and prayers, with my generosity and kindness, with my new TV Channel Truth TV soon to be launched, with everything and with my whole Might I wish to contribute towards the World! I am most honoured to know that People like you Exist, God always Was, God always IS and God always Will Be! We are all the proof of That! Honour, Respect, Devotion and Glory to the existing Beings whom are in support of ITJN and who live their Life with Dignity and Pride, for we are All children of God! Parish Church Committee St Michael’s and All Angels London Fields.